Day three of my green polish posts, I figured we've had a creme, and a shimmer, so how about I throw in a holographic into the mix. 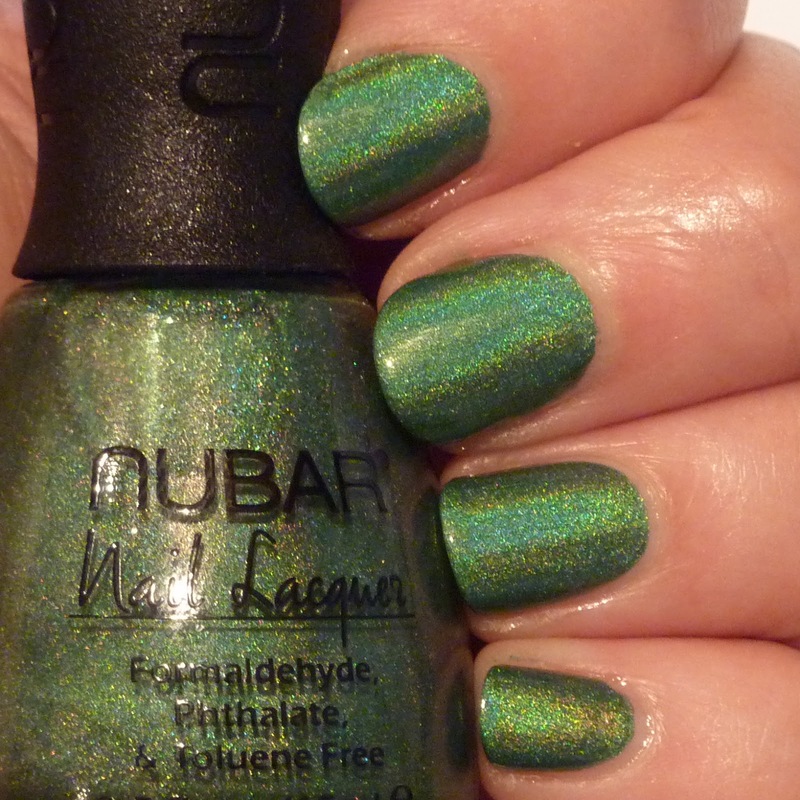 Nubar Reclaim - Green holo magic in a bottle. Nubar Reclaim - Looking all nice and shiny. Nubar Reclaim - Yummy holo goodness! 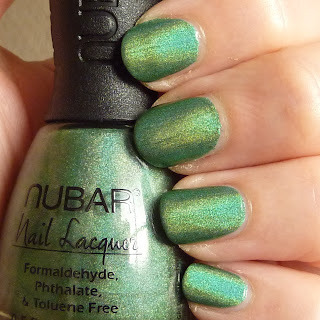 Nubar Reclaim - I think this was taken indoors with the light on. Oh I love this polish, it's everything I hoped it would be, it's green and it's holographic so of course it's wonderful! 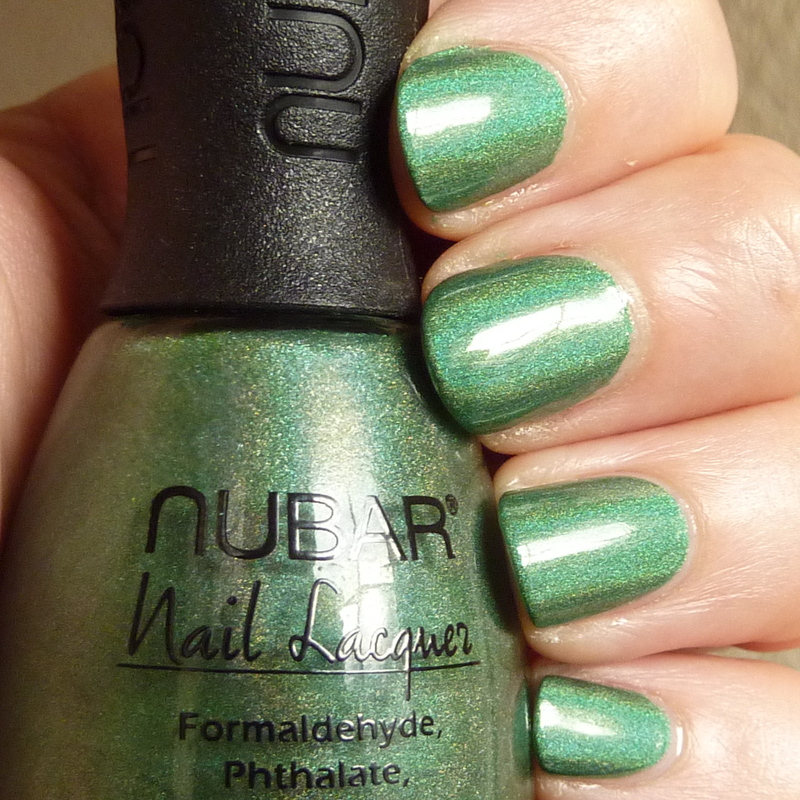 I don't have many holo polishes, and no other green ones so I'm very happy to have this in my stash. I took these photos a while ago, so I can't remember how many coats I needed but I probably used two, application was fine and I didn't use an aqua base coat and it still looked great. Don't forget to come back tomorrow to see what green is next.